The Customize Windows > Computer and Internet > General > Mac OS X Original Theme for Ubuntu 12.04 : Will You Like It ? Mac OS X Original Theme for Ubuntu 12.04 will make Ubuntu look like Apple Mac OS X simply as the components are ported from Mac. But is it great to steal ? So in the first part we will teach you how to steal and use Mac OS X Original Theme for Ubuntu 12.04 and in the second part we will say some thing that might not sound great to many who are seeking Mac OS X Original Theme for Ubuntu 12.04. In our video , you will see we have tested and used to check, how it feels. It is quite obviously gives a kind of Mac OS X feel, although the scroll bars, progress bars are not really like a real Mac OS X. For every WordPress Plugin, it is mandatory to include the GPL license, we develop for distributing Free of cost, you can donate if you like, if the developer wants, but it not mandatory to pay. As without money, the World can not run, for special support (not normal free support, that is always present) usually there is a fee, that is fully optional and mostly intended for bigger companies, organizations. Microsoft or Apple sells softwares. It is their wish and business policy how they run their business. You might like it or not like it. This Article Has Been Shared 8677 Times! Articles Related to Mac OS X Original Theme for Ubuntu 12.04 : Will You Like It ? Title: Mac OS X Original Theme for Ubuntu 12.04 : Will You Like It ? 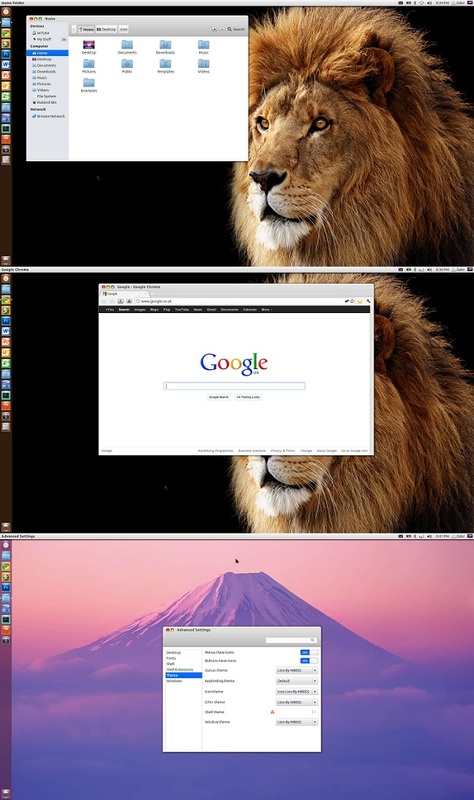 Cite this article as: Abhishek Ghosh, "Mac OS X Original Theme for Ubuntu 12.04 : Will You Like It ?," in The Customize Windows, October 12, 2012, April 18, 2019, https://thecustomizewindows.com/2012/10/mac-os-x-original-theme-for-ubuntu-12-04-will-you-like-it/.